Great Gift for All Seasons: Don’t know what gift to pick? 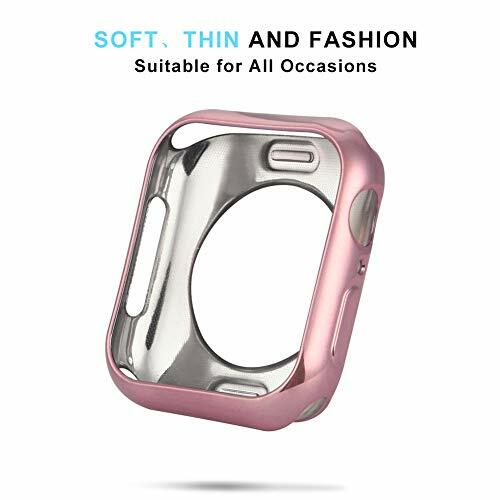 This watch case is definitely a good choice for your friends and families if they have an Apple Watch. 1.Please make sure you choose the right size and make sure it fits your Apple Watch before placing an order. 2.Color may vary slightly due to the calibration of each individual monitor, please refer to the real item you receive. 3.For 12 months after the date of purchase, we take care of all quality-related issues with a REPLACEMENT or REFUND. 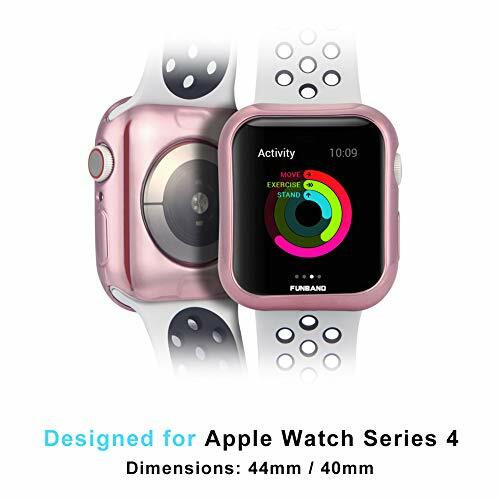 Please contact us.【Compatible Models】: This TPU Protector All-around Protective Case for Apple Watch Series 4 40mm. 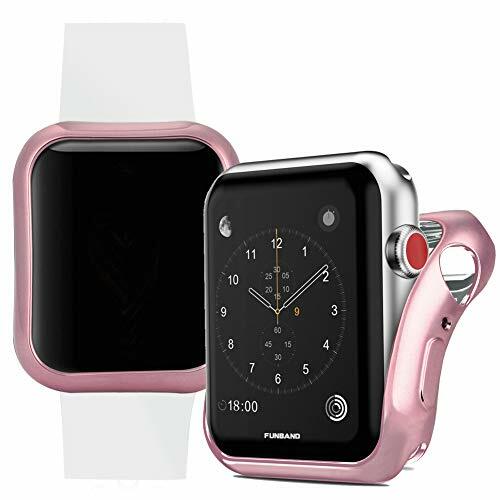 【Premium Quality & Texture】: The material of this Apple watch case is high quality TPU eco-friendly silicone, which touch soft and smoothly. 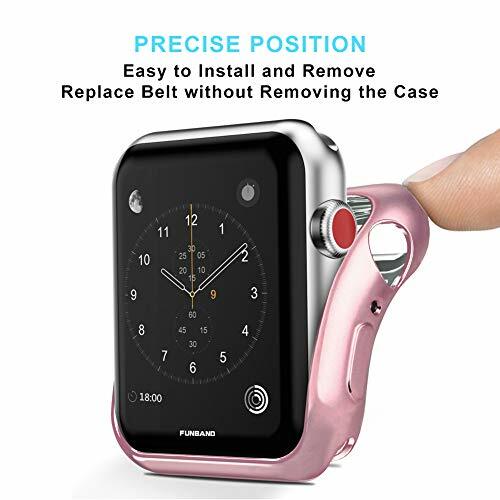 【Perfect Design】: The Apple Watch case with precise position, 360 degree full covers all sides and the edge of the case is higher than the screen. 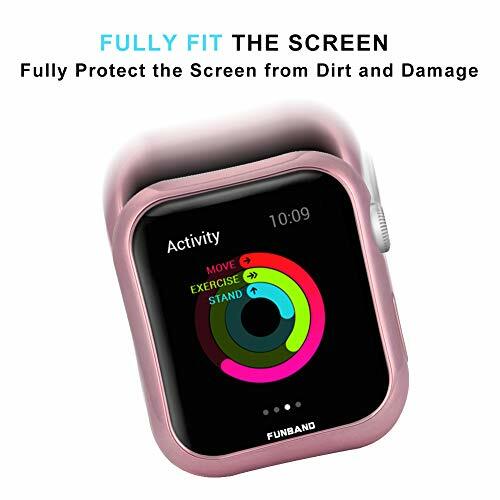 fully protect your watch from dirt and damage. 【Easy Installation】: Easy to install and remove, replace belt without removing the case. No Impact on Charging. 【FunBand Warranty】: Within one year since the date of purchase, for any quality issues, we will send free REPLACEMENT or REFUND.